When it comes to the Bay Area’s culinary scene, there is no doubt that it is at the top of the most delicious destinations in the world. If you’re open to it, the collection of diverse ethnic restaurants and small eateries can take your taste buds on a non-stop epicurean journey as you rack up stamps from the Dominican Republic, Vietnam, Mexico, Italy, France, Thailand, China, Japan, Ethiopia, Jamaica and on and on. The latest stamp collected for my personal culinary passport is from South Africa thanks to the discovery of Pam and Wendy Drew, owners of Amawele’s South African Kitchen in San Francisco. The two Durban natives opened the small takeout kiosk inside the city’s Rincon Center in 2012 and have been serving their highly requested dishes ever since. “South African food is known for the meat,” says Pam who first sat down with me in the open dining area across from Amawele’s. She points that out after I asked about other South African spots in San Francisco or anywhere else in the Bay Area. She recalls one that was no longer in business for reasons unknown. But one thing for sure, she says, is that they did not serve authentic South African food and was more on the vegetarian side. 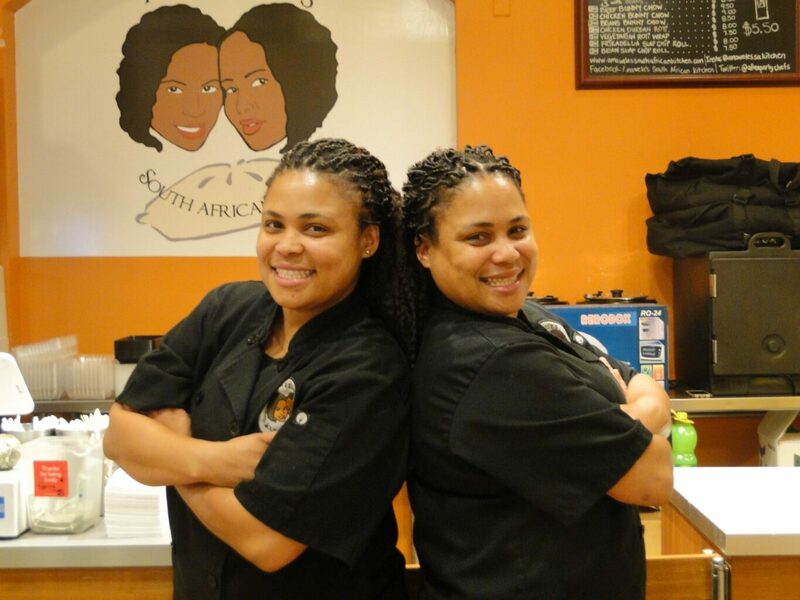 Zula for “the twins,” Amawele’s is all about serving traditional South African cuisine that the Drew sisters grew up eating and making under the supervision of their mother whose recipes they use today. Pam takes the culinary lead, adding her own personal touches to the dishes that are ordered by people who come from everywhere. Upon their arrival to the United States in 2004, the main goal was to just get away from everyday hustle working in the finance industry. An exchange program brought Pam to Seattle and Wendy to New York. It would be the first time they would be apart. Not ready to leave after a year, they set their sights on San Francisco and an extension in the program worked out to make it possible. Still, becoming business owners, let alone around food, was not a part of the plan. It was not until they hosted and catered a party to celebrate the 2010 FIFA World Cup did the idea of starting a culinary business come to mind. People loved the food and the sisters soon saw an opportunity to bring something fresh and new that was missing in the city. After testing the waters, they decided to forego studying for another degree and instead to go full throttle with their business to see where it would take them. The decision paid off. They moved into their current location in 2012 and are now looking to expand the Amawele’s brand with pre-packaged foods and beverages, starting with their rooibos iced tea made from the leaves of the rooibos plant that they imported from South Africa. 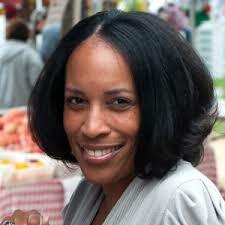 It’s Wendy’s special recipe.“How do we get our food to the masses,” says Pam looking into the future. She makes an interesting point that there aren’t any South African food brands available in stores in the U.S. I bring up the only one I have heard of, Nando’s, but not sure if many associate South Africa with the hot sauces that can now be found on grocery store shelves, especially since their restaurants are geographically limited to the Washington, D.C. area. Bring South African Culture and Heritage to the U.S. They credit their mixed heritage and upbringing (their mother is white and father with black) with being able to deliver a true South African culinary experience. It exposed them to a variety of ingredients and techniques that they use at Amawele’s today. Add in the Indian influences and you see why customers have fallen in love with their signature dishes such as the bunny chow, a curry dish made with hollowed bread that is filled with chicken, beef or butterbean curry. I had my first bunny chow experience and can tell you that the hearty dish curated with cinnamon, bay leaves and a little spice took me through two meals. I went with Pam’s suggestion and had the beef and was not disappointed. Another customer favorite is their roti. I got a taste for the ride home. They warned me it was good and with all but a small piece left when I finally arrived back in Oakland, I would say they were right. “A South African roti does not taste the way our roti tastes. My mom just decided she needed to make it a little sweet because it was too bland.” Good move mom. Amawele’s is open for lunch Monday – Friday inside the Rincon Center (121 Spear Street, San Francisco) from 11:30 – 2:30 pm. They also offer catering services. To check out the menu, visit http://www.amawelessouthafricankitchen.com. You can also follow the twins on Facebook Twitter and Instagram.